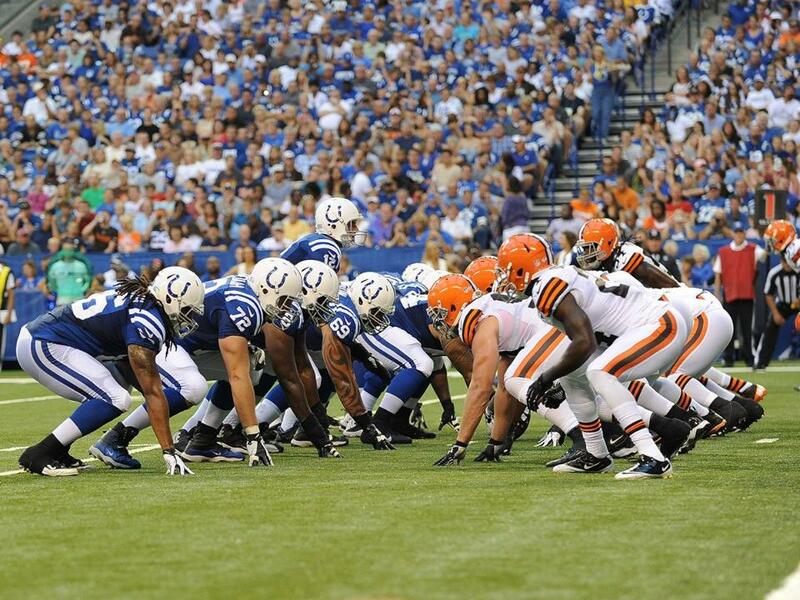 The news around the Colts on Tuesday surrounded some former offensive linemen. What will Jeff Saturday being doing next season? Who joins Mike Chappell’s all-Indy team at the offensive guard position? Lastly, who is next in line at Saturday’s old position at the center spot? Take a look below at the top pieces from Wednesday, July 10th. Retirement didn’t last long for former Colts center Jeff Saturday. The 14-year NFL veteran is getting into the television industry with his first appearance on ESPN coming on July 17th. Both of the guards on Chappell’s all-Indy team had productive years with the Colts before moving on to further their NFL careers. Former Colts offensive line coach Howard Mudd was very fond of both Lilja and Scott, after the two turned into mainstays up front even though they were not high draft picks. “I just liked the way he got things done,’’ he said. “He was athletic and all that, but he got his job done very efficiently. He did things so well technique-wise. The Colts center position is definitely one to watch with the team departing for training camp in a little more than two weeks. Kuharsky caught up with rookie Khaled Holmes to discuss the battle with the incumbent starter Samson Satele. “Samson’s a great player and I think we have a bunch of great players up front,” Holmes said. “My only goal is to keep my head down and keep working. I’m always going to compete in everything I do, so there is that factor. But I’m not looking forward to anything besides camp. The 2013 Colts rookie class were back out on the town this weekend, heading down to Bankers Life Fieldhouse to watch the WNBA World Champion Indiana Fever. 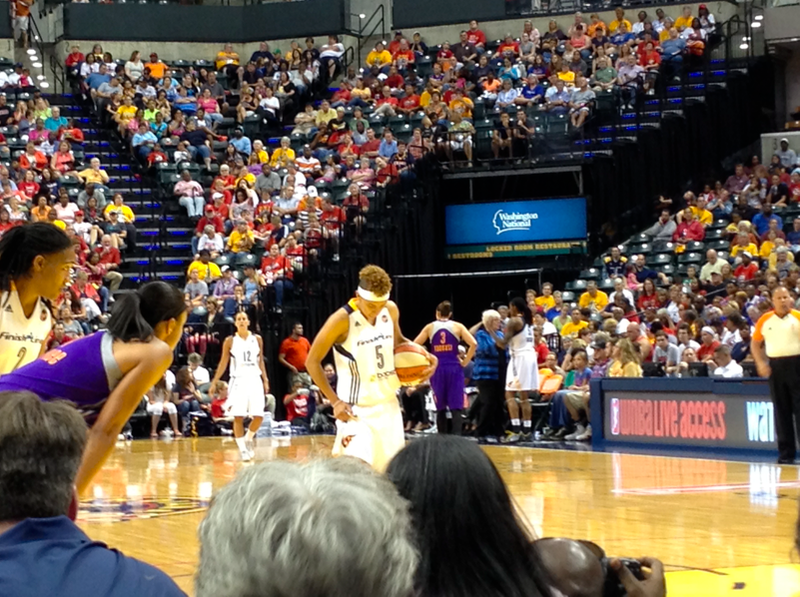 After having lunch at Colts Grille, the rookie class took in the nationally televised game against the Phoenix Mercury. Holmes had a connection with the Mercury as Phoenix guard Briana Gilbreath was a former classmate of his at USC and she played 34 minutes in Saturday afternoon’s contest. It was a boisterous crowd of 8,672 at Bankers Life Fieldhouse and the Colts rookies got a taste of what they might encounter later this year from their home fans. This was the second trip to Bankers Life Fieldhouse for the rookie class as they took in the Pacers clinching game six victory over the New York Knicks during the Eastern Conference Semifinals. Throw in a visit to the Indianapolis Motor Speedway during May and the rookies have gotten a taste of what their new home has to offer. With a three-day minicamp beginning on Tuesday, the rookie class will continue a tour of Indianapolis over the next two weeks with the team bonding continuing to grow out in the community. “Obviously we are here to play football and that’s 100 percent the main focus, but at the same time, (Director of Player Engagement David Thornton) and the whole Colts organization has done a great time getting us acclimated to the city and allowing us to have a great time while we are playing here,” Holmes said.